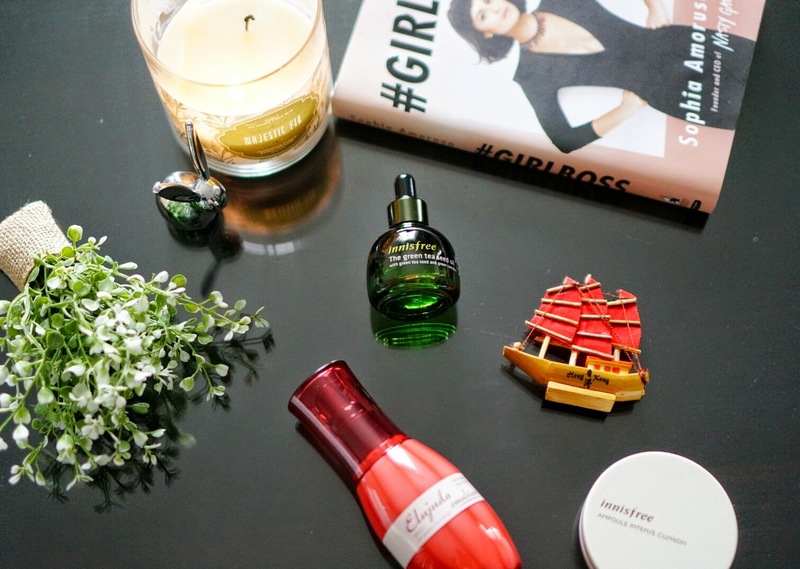 When it comes to Hong Kong, cosmetics and skin care are the first things that comes to mind. So how can I go to Hong Kong and not do a mini haul for you guys. I've tried many products this time but here are the three that stands out to me and would love to share with you guys. I've always been interested in trying different types of oil to figure out how to deal with my dry skin. 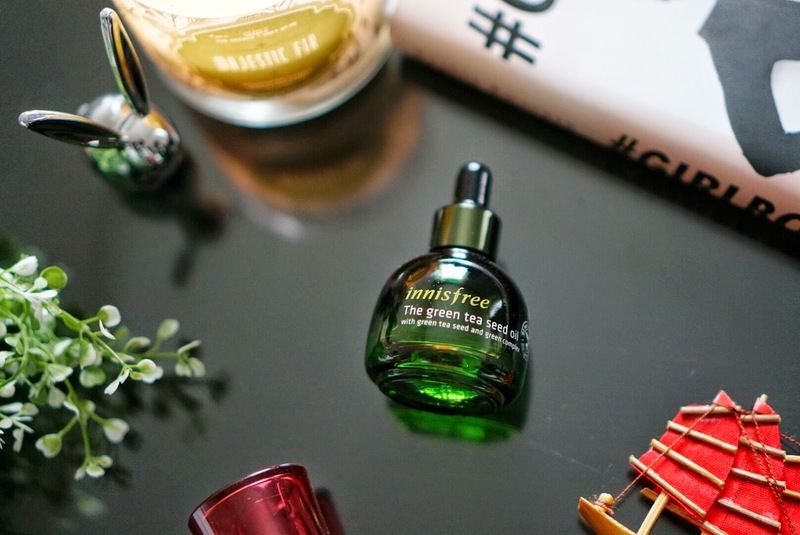 I came across this Innisfree The Green Tea Seed Oil and it's my first time trying out Innisfree after hearing so many good reviews from it. The packaging on this one was what attracted me to test out the sample. When I tested a few drops of this oil on the back of my hand, my first impression was the amazing scent. It is slightly on the fragrant side but I don't mind this one because it's very light and refreshing. The green tea seed oil says it's enriched with jeju green tea seed and has anti-oxidizing agents. After applying this after my basic skin care for about a week, I noticed that my skin felt very nourished, radiant and my skin did not break out. The consistency is perfect that it wouldn't cause oily skin cause it absorbs so quickly. Packaging, scent, consistency - Perfect! 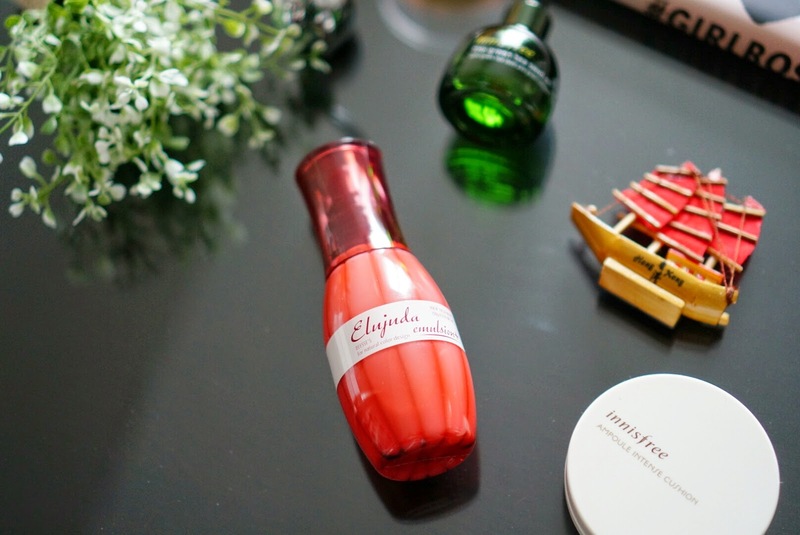 The second find in Hong Kong this time would be this lovely Elujuda Emulsion+ Hair Treatment. It was recommended to me by my husband's friend who is a hair stylist and the first use captured my attention. I love how lightweight it felt and it gave my hair a natural shine, great scent, tangle-free and tamed my hair for easy styling. The other thing that I noticed that is the most important is that my hair doesn't feel dry afterward and it gave it a light bouncy volume. I love it and thank you Hugo for recommending it to me. 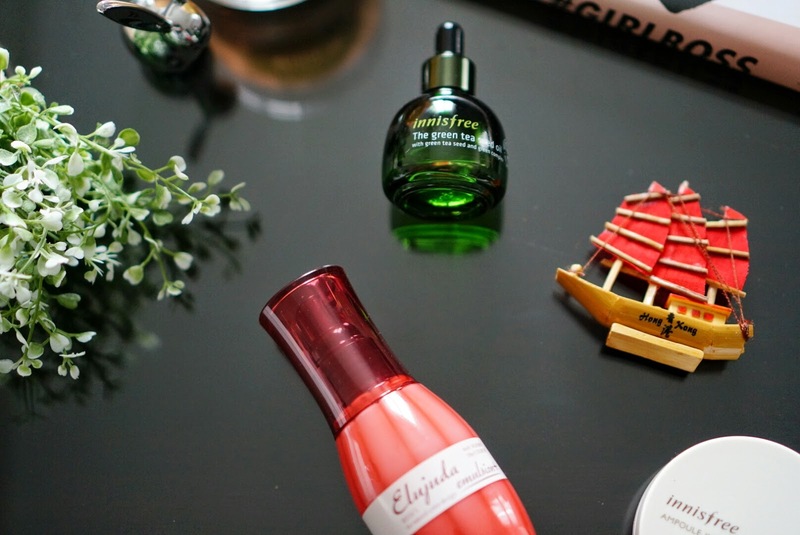 One of my favourite purchase is the most talked about Innisfree Ampoule Instense Cushion. Most of you know that in Korea, they like to have minimal makeup, radiant glowy skin with a cute bold lip. This cushion has the affect of the nice plumped glowy skin. It comes in a container with a compact mirror, sponge applicator separated from the foundation cushion for hygienic reasons. It is formulated with Jeju Green Tea Seed Oil for a long lasting hydrating effect. I apply this on top of a face primer in a patting motion and it made my skin dewy and natural. Didn't cause any cake-iness, very hydrating and it has SPF 34 PA++. When you think of asian beauty product, which brand comes to mind first?